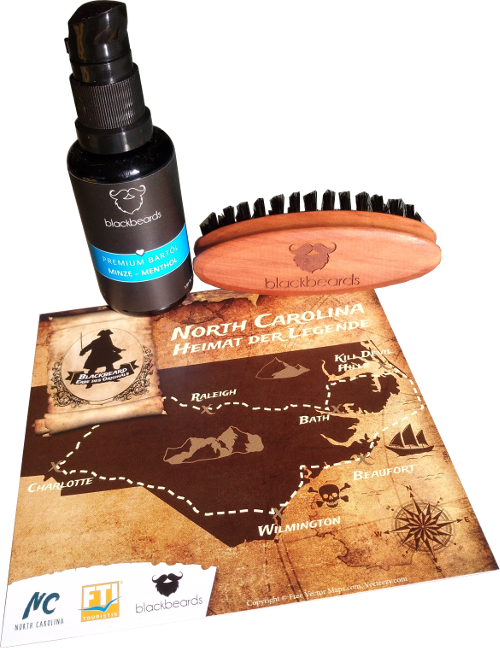 To commemorate the 300th anniversary of his death we teamed up with German beard care specialist blackbeards and developed the campaign “NORTH CAROLINA – HOME OF THE LEGEND”. To bring the co-operation to life, our travel partner FTI Touristik developed a Blackbeard-themed trip which is given away among the campaign audience – or Blackbeard’s bearded descendants, to stay within the thematic frame. All information about the trip’s itinerary and participation in the sweepstake is provided on the central campaign microsite www.bartlegende.de (German) for adventurous beard lovers and travel enthusiasts. To activate the campaign, we produced an image video speculating about challenges in beard care 300 years ago. 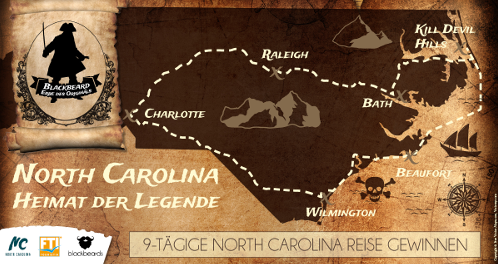 The wily video thus links ancient North Carolina during Blackbeard’s era with the current audience following blackbeards’ communication. From October 1st thru November 15th, the campaign is advertised and promoted through the partners’ online and offline channels. Are you ready for the legend?